When you look through our old ads, there's no question most of us missed a bargain or three. Also, with a bit of luck, you may have dodged the odd bullet, too! This 'bathtub' Nash has done okay over time. 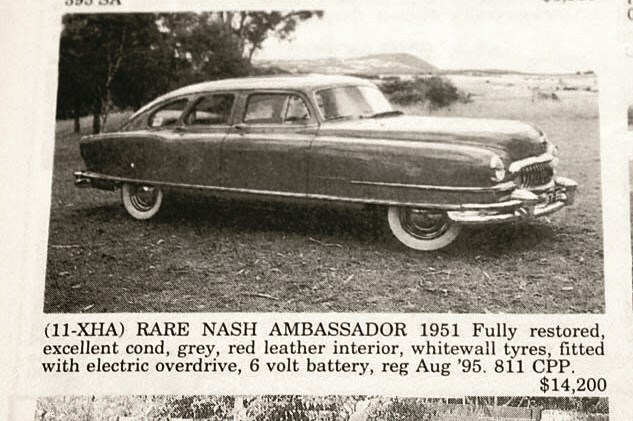 One look explains why these distinctively-shaped cars became known as the ‘bathtub’ Nash. 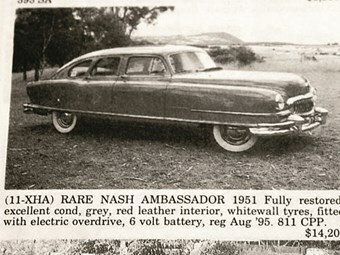 The Airflyte design did away with the separate chassis and the lines were intended to make Nash models stand out from all the other new US car designs once World War II ended. 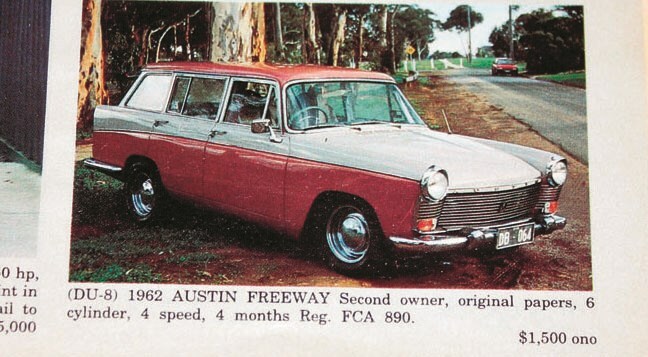 This was the up-spec Ambassador and would have been a rare car in early 1950s Australia. 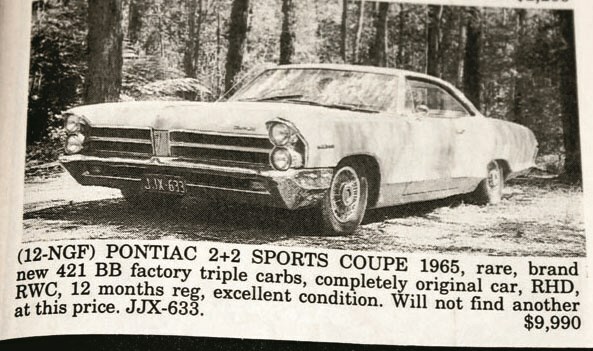 They were never a desirable car however and at $14,000 even one this good would be devilishly hard to shift. Better possibilities exist now though. 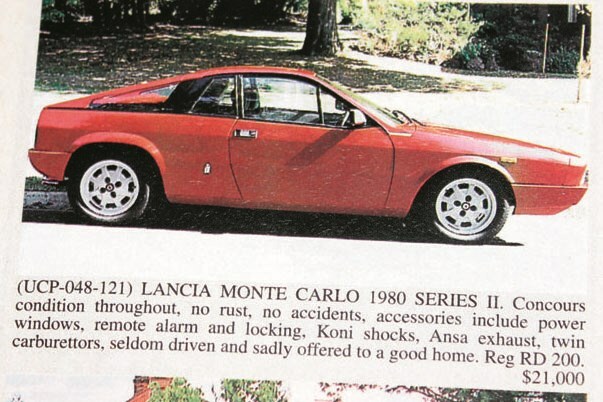 Anyone who wore the nickname of ‘Wacky’ Arnolt without objection might be relied upon to produce some fairly strange machinery, however this Italo-Brit hybrid was a surprisingly competent and personable car. Most of the 130 sold went into Arnolt’s US homeland but a few managed to find their way elsewhere. 12 of them died in a warehouse fire. 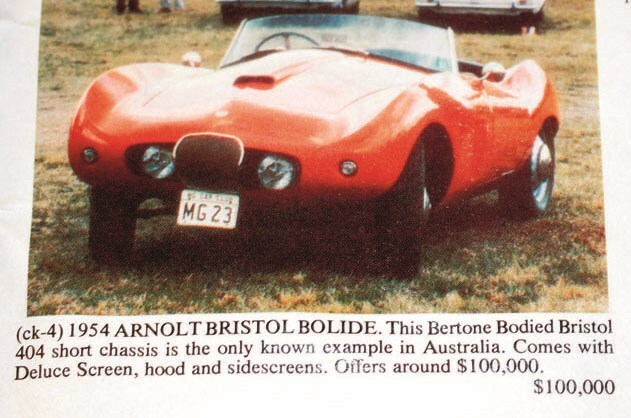 Anyone who in 1992 contemplated spending 100-large on an Arnolt might have been thought wackier than the car’s creator, but in 2014 a rare wire-wheeled version made $550,000. "Look what they’ve done to the Kingswood!" As you marvel at this car you can almost hear Ted Bullpitt’s bellow and yes, beneath that elaborate fibreglass skin does lurk a humble example of Australia’s Own. The guilty party in this attempt at deception was Adelaide-based Creative Cars who also built Porsche-like bodies for Volkswagens. 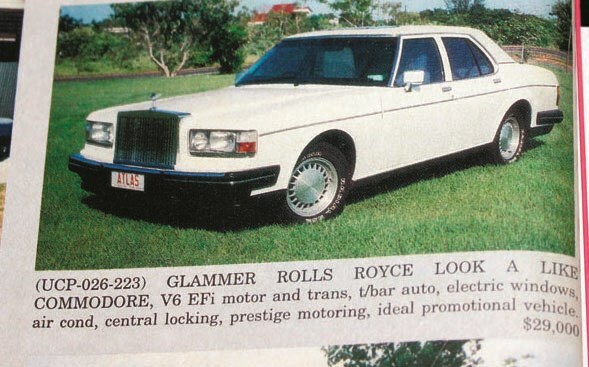 It is said that up to a dozen Glammers were made and a few served on local hire car fleets. Given the longevity of the HQ-HZ shell a few Glammers may have survived but we have serious doubts about that value. No James Bond imagery here, just a slightly rotund 1950s shape and low-volume exclusivity. 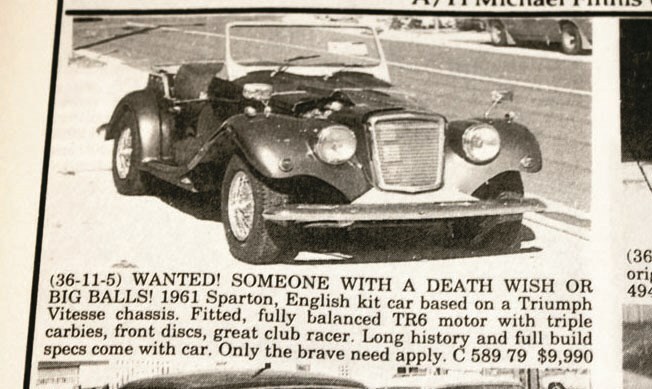 We’re doubting that any of the 73 DB2-4 convertibles produced were sold in Australia as new cars and this one probably arrived some time later. 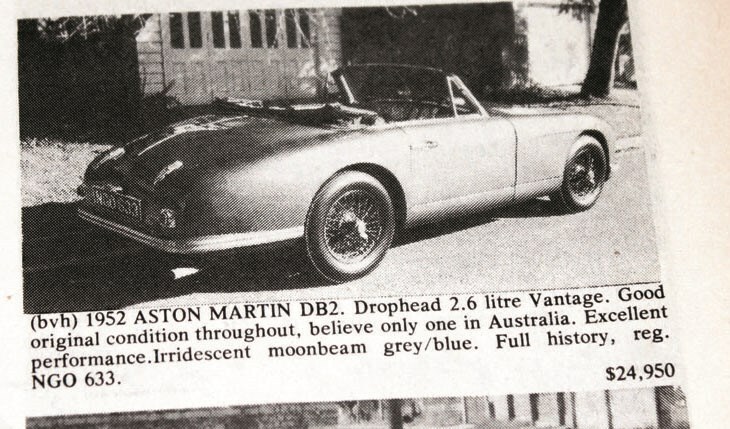 Among the least common of all post-WWII Astons, these cars are now extremely difficult to find and costs vary wildly. One recently appeared in the USA at an asking price close to $500,000 and that, even after 30 years, would represent a very decent return on your $25,000 investment. If you just slid from the seat of a late-model Audi, Subaru or even Lamborghini then say hi to your AWD passenger car’s grumpy grand-daddy. 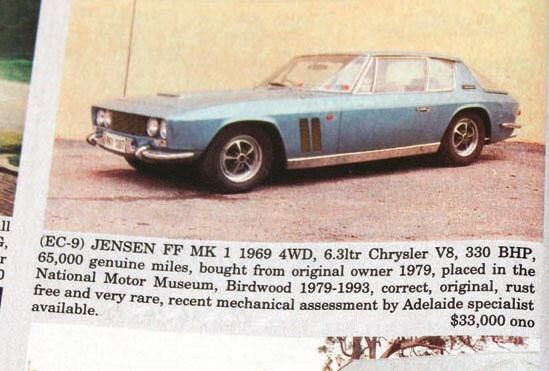 With help from the Ferguson tractor people (FF stands for ‘Ferguson Formula’) Jensen in 1966 added four-wheel grip to its gorgeous V8-engined Interceptor and created a nightmare for service agents around the world. Only 195 Mark 1 FFs were built and survivors are now rare and expensive. We hope that this ice-blue beauty has managed to not only survive but remain on Australian soil. More quirky selections from young Cliff. Did you pick up one of these while they were still cheap?